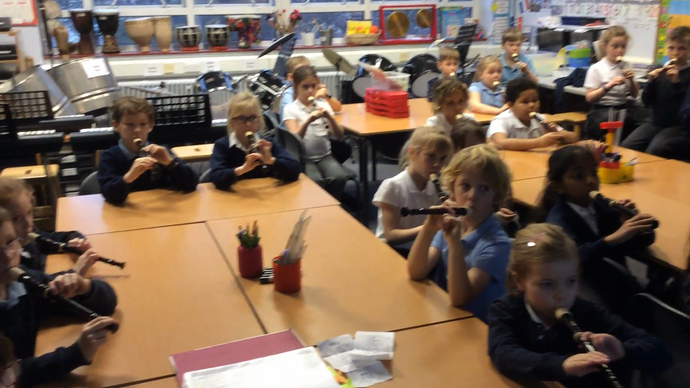 Year 3 did a great job of learning how to play this piece of music using the note B on their recorders during their very first recorder lesson! 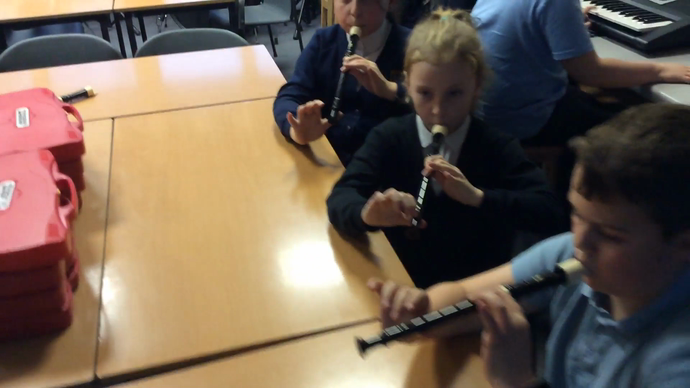 In Year 4 all the children learnt how to play the new notes F,E,D and low C on recorders. These were very tricky notes so the children who were confident continued to learn some new pieces of music using these notes and the others learnt the pieces on glockenspiels. 'Portsmouth' was a challenging piece with lots of rests and different length notes. The children did very well to play this together in ensemble. 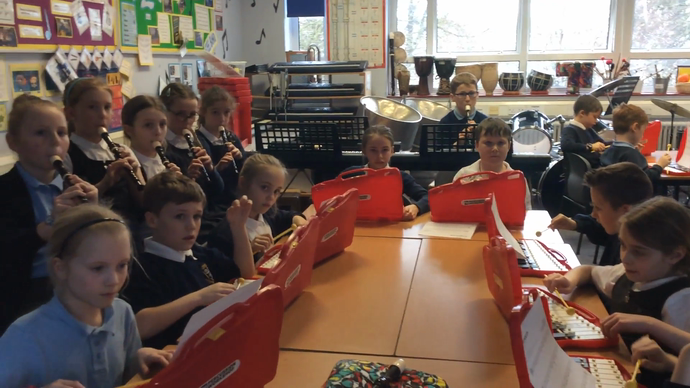 Year 5 have been learning about jazz music this term, specifically jazz fused with Latin music. They have started to learn how to play the keyboards, with some children opting to play on recorders for this piece, and one on the steel pans. 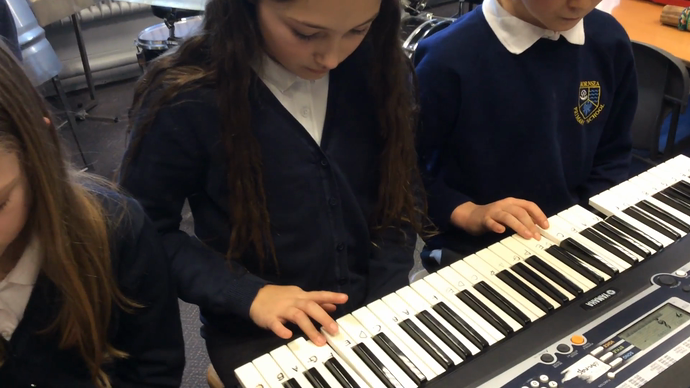 Year 6 learnt about jazz music, middle 8s and improvisation, as well as improving their keyboard skills, whilst learning to play this piece, based on the music of Burt Bacharach.